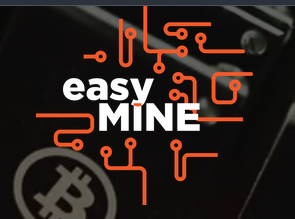 easyMINE is a complete, self-contained software platform for cryptocurrency mining. It is designed to make the entire process of setting up and managing your own mine as intuitive and straightforward as possible. Whether you’re a complete cryptocoin newbie or a seasoned blockchain veteran, you will appreciate the ease of use, control, and convenience easyMINE offers. The functionalities provided by easyMINE fall into three general areas: automatic configuration, automatic mining, and comprehensive mine management. On the first boot-up, the eMOS system will take over and automatically execute the necessary set-up and optimization routines. This may involve GPU BIOS flashing, GPU core voltage adjustment, CPU/GPU/memory clock frequency adjustment, and so on. All operating parameters will be preselected from the central “knowledge base” of configuration and performance data, and then further optimized in order to achieve maximum stability and efficiency. In the fully automatic mode, easyMINE will be capable of operating without human input or supervision. It will dynamically optimize hardware and software settings, based on the given device’s own performance history, as well as on performance data obtained from other units. It will also automatically select the most profitable currency (based on current exchange rates, block difficulty, power consumption, etc.) and the best available mining pool (considering, for instance, network delays and congestion). Lastly, the system will be able to manage the mined funds, performing currency conversions and depositing the profits to appropriate wallets. For advanced users, seeking complete control over every facet of their mining business, easyMINE’s manual mode will offer a full range of configuration and administration tools. Planned functionalities include: real-time hardware monitoring, inventory management, complete operating history, detailed performance analysis, profitability calculation, report generation, diagnostics, and task automation. All settings and features will be accessible through a web-based dashboard or a dedicated mobile app (available for iOS and Android). The complete software package will be available for download from the easyMINE website. The eMOS operating system distribution will be released under an OpenSource license, with core functionalities available free of charge. Access to the more advanced autoconfiguration and hardware monitoring features will be paid. The fee amount will be dependent on the output of the devices under the system’s control. A custom Linux distribution optimized specifically towards cryptocurrency mining. Includes all necessary system components, GPU drivers, pre-installed mining software for a variety of currencies, and an easyMINE script package for hardware management and communication with the easyMINE server. Developed under an open source license. settings (BIOS version, core voltage, clock frequency, etc.) and mining parameters (currency, pool, etc.). Collects performance data and makes it available to users. Administrative module. An online configuration and management interface, accessible via web browser. Enables remote monitoring of and control over mining machines connected to the easyMINE server. dependent on special-purpose hardware (e.g. remote hard reset). At the moment, no comparable mine management platforms are available. believe, ahead of—any existing solutions, commercial as well as non-commercial. The easyMINE distribution package will include all the software needed to run a profitable mine: the eMOS operating system, hardware drivers, mining programs, and the eM dashboard. No additional purchases, downloads, or installations will be necessary. For people new to the world of cryptocurrencies, the very concepts of “blockchain,” “proof,” or “hash” can be hard to grasp. easyMINE aims to be accessible even to complete beginners and will require no more than intermediate computer skills for successful basic operation. From a single remote dashboard, easyMINE will provide access to and precise control over every aspect of a mining operation: from initial set-up, to inventory management, to performance monitoring and optimization, to troubleshooting and maintenance. With easyMINE, every step of the mining process can be fully or partially automated. At its most autonomous, the system will rely on an array of selfconfiguration, self-optimization, and self-management algorithms to operate with no—or minimal—user supervision. advanced machine learning and data mining techniques will allow easyMINE to dynamically fine-tune its operating parameters for maximum efficiency. Optimal values will be determined through analysis of performance data collected in a centrally maintained knowledge base. “Lessons” derived from any given mining machine will be applied to improve the functioning of other similarly configured units. Designed to provide a consistent level of usability and convenience regardless of the number of mining machines under its control, easyMINE is suitable for small, growing, and moderately large mines. In addition, it can be easily extended to support new currencies, mining algorithms, wallets, etc. and administration of mining hardware. respond to malfunctions and errors. application (for iOS and Android devices) are planned. purpose of automating the performance optimization process. 6. Develop automatic currency and mine selection algorithms. 7. Establish new, dedicated cryptocurrency mining pools. components as well as pre-built mining machines. restart devices, PXE servers, etc.). ETH solutions, such as MyEtherWallet. to holders at the rate of 0.5% a day. EMT tokens will be listed on exchanges in the fourth quarter of 2017. EMT tokens will be used as the sole form of payment for easyMINE services. easyMINE services will then be automatically deducted from the account balance. payment for its services until only 3,000,000 remain in circulation. the beginning of the sale. announced on easyMINE’s official website. management functionalities. Web-based administration dashboard. Beta version of the automatic configuration functionality. Beta version of the automatic mining functionality. Mobile application. Full-featured version of the eMOS system. Further development of the platform according to user needs. Bankhaus Metzler (Germany). Founder and CEO/CTO of several IT companies. Master's degree in Banking and Finance. 25 years of business experience. Founder and CEO/CFO of several IT companies. Blockchain enthusiast. Experience in business law, administration, and management. dynamic-fuzzy logic, cognitive modeling, and neurocomputing. 20 years' experience in software development, web servers, and big data. Experienced software developer. Hardware specialist. Blockchain enthusiast. business necessities with the users’ best interests. programming. 6 years' experience in graphic design and usability. industry experience. Dynamic, energetic, and positive. years’ background in media and cultural studies. technologies. Member of the Ethereum Classic Scala client development team. easyMine ICO closes in less than 36 Hours.